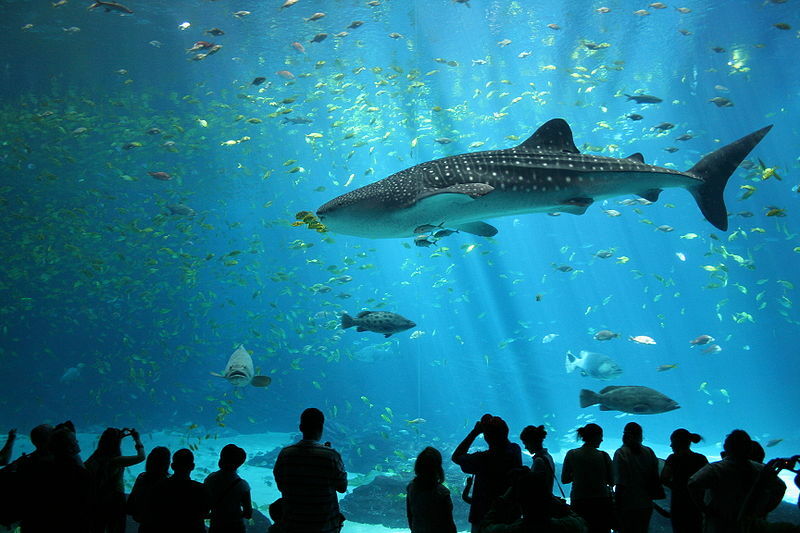 Wired Science: Video: World’s Biggest Gathering of Whale Sharks. 這個連結裡有喬治亞水族館提供的"鯨鯊海"影片. de la Parra Venegas R, Hueter R, González Cano J, Tyminski J, Gregorio Remolina J, et al. (2011) An Unprecedented Aggregation of Whale Sharks, Rhincodon typus, in Mexican Coastal Waters of the Caribbean Sea. PLoS ONE 6(4): e18994. 這是 Dove 博士發表的研究原文連結.